Woke up a little bit after 8am. Monika & Marie were already up, and most campers had already packed up and left. We said good bye to Kirk, who left before us. There is an impressive set of ladders right behind the beach. 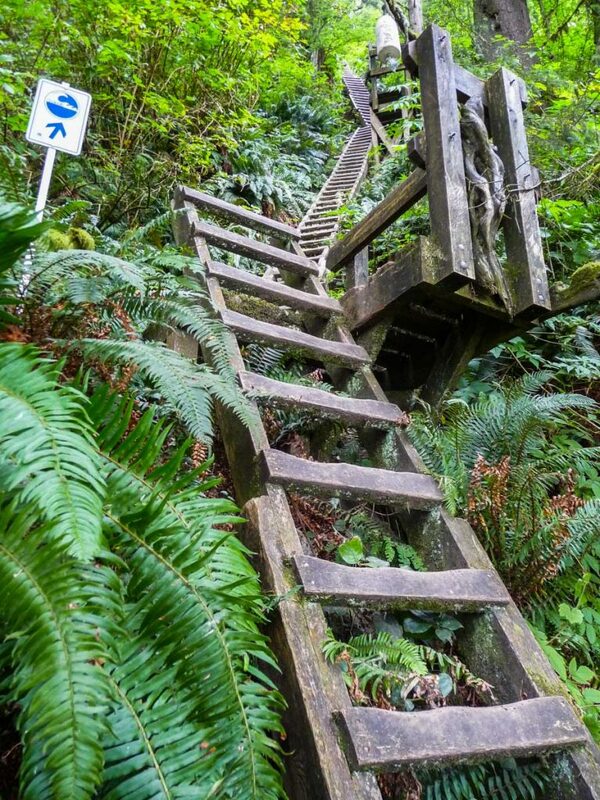 The ladders are followed by a steep set of switchbacks. It’s mostly uphill until around km 73. The trail then flattens out, with a few hills mixed in. Lots of forest with large tree roots. Muddy in some areas but mostly dry. The last 2 km seemed to take forever. Marie was a little grouchy, I think she had gotten tired of the weight of her backpack. We arrived at km 75, the end of the trail, at 1:10pm. Km 75. The end of the West Coast Trail. We laid down for a few minutes, waiting for the ferry to pick us up. The road back to civilization is on the other side of Gordon River, which can only be crossed by ferry. 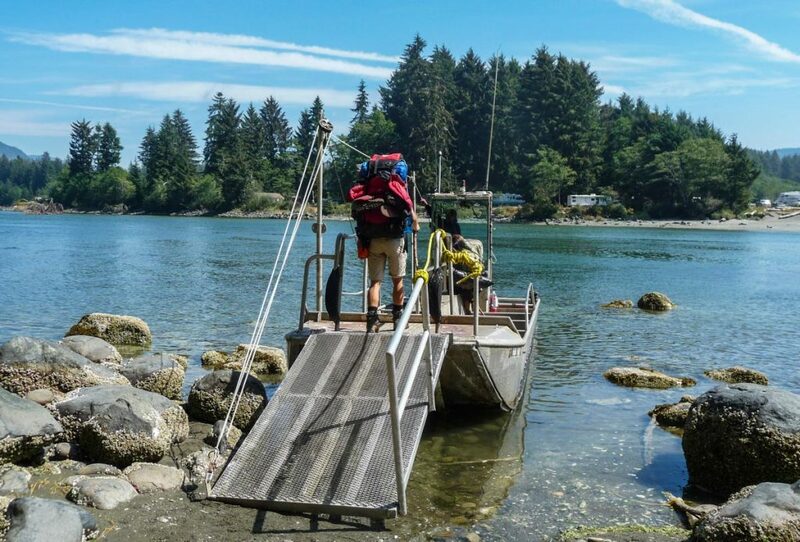 By the way, the fee for the two ferries on the trail were already included in the price of the WCT permit. Since I had finished the hike one day early, I could have stayed until 4:30pm to see if the West Coast Trail Express bus had a free spot for me. But since the girls had a car and were driving to Vancouver that day, they were nice enough to offer to drop me off at Victoria. Once back in Victoria, I checked back into the the same hostel I had stayed before the hike. I did not want to spend any more time in that town though. I had already spent 2 days there before the hike, and I still had two more days to go until my flight. I had a couple of friends from Argentina who were visiting the United States at the time. They were going to stay with me in California once I flew back from Canada, but they were in Las Vegas at that moment. I decided to change my plane ticket and fly there the next morning. It was a huge contrast to go from camping at Thrasher Cove one day, to the totally artificial and decadent world that is Las Vegas the next day. In conclusion, I had a lot of fun hiking the West Coast Trail. The first two days were a little underwhelming, but the last four days were very enjoyable. I certainly spoiled it a little bit by doing the Lake Ozette to Shi Shi Beach Hike the previous week. Even though the Shi Shi Beach hike doesn’t have the amazing WCT ladders and bridges, the landscapes are very similar to each other. I also found the hike much easier than I anticipated, especially after watching this TV report during my planning stages. I’m sure that having six sunny days helped a lot on the difficulty level. I almost feel I didn’t get the full WCT experience since I didn’t get any rain. Monika and Marie’s struggles with their heavy backpacks despite being excellent athletes makes me believe that my light load was also a big factor. After spending over a month of total decadence in Argentina before the hike, I started it in pretty bad physical shape. But the only day in which I felt really tired was Day 3 after a 21 km day. Lastly, I wished the trail was longer, maybe twice as long. When it ended, I wasn’t even missing civilization that much, like it did towards the end of the John Muir Trail. Thanks for reading. I wish your group a safe trip with good weather. Great to read your WCT posts. I read your JMT posts prior to my own JMT hike in August 2010, and enjoyed your posts (and the JMT!) immensely. 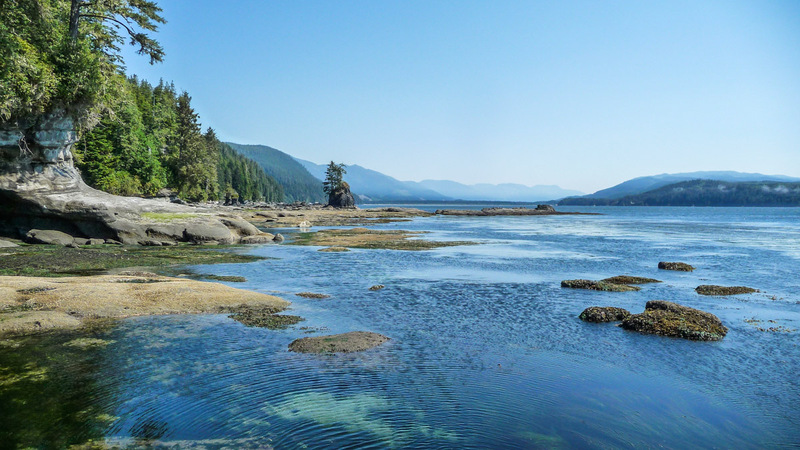 I hiked the WCT earlier this year (first week of June), though I did it a little differently: I started at the southeast end of the Juan de Fuca Trail (China Beach), hiked two days to Port Renfrew, then three days to Bamfield. It was awesome, with mostly great weather. I should get my journals into cyperspace as you have done! I also did a 11-day hike on the PCT from Mt. Hood to Mt. Rainier this year. With the JMT and this section, I’m a real section hiker now! In 2012, I plan to hike the PCT from Etna to Ashland (in early July), and then a second visit to the JMT in August. This time, I plan to hike NOBO, starting at Cottonwood to Sky-Blue Lake, then more cross-country to Trail Crest. Instead of Forester, I’m going to crest at Junction Pass to Center Basin. And hike down Bear Creek and up to Goodale Pass instead of the VVR ferry. And hike the PCT from Postpiles to Thousand Island. So, not as much of the JMT, more of a PCT section with variations. Hey Dave, you should definitely get your journals online. It’s pretty easy to get a free blog at places like wordpress.com. Looks like you got a couple of interesting hikes planned for next year. I’d really like to go back to the Sierras next summer. With my upcoming trip, I don’t know if I’ll find the time for a long hike. If you are looking for a longer hike…do the Camino de Santiago in Spain…more of a walk really, especially if you are a UL backpacker. Thank you Kevin, I found your blog very enjoyable. I plan to do the trail next summer but was hesitant after back packing through Europe with a 60 pound bag. I didn’t even endure rough terrain and that much weight still felt unbareble at times. Your ultra light packling list gives me much encouragement as there were some parts of my Europe excursion when I wanted to through my heavy bag into the canals of Venice! Your blog was well written and very helpful. Hi Casie. I’m glad you found my blog helpful. Regarding the backpack weight issue, yes, it makes a huge difference. 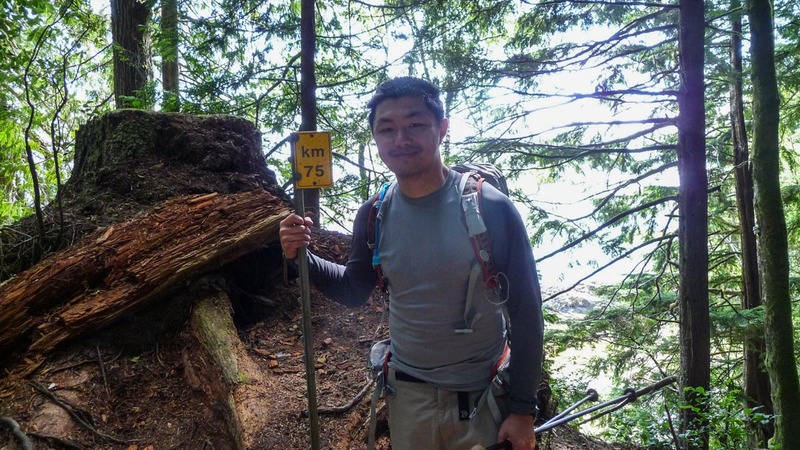 Some people think of the West Coast Trail as some masochistic experience, but it doesn’t have to be that way at all with a light backpack. 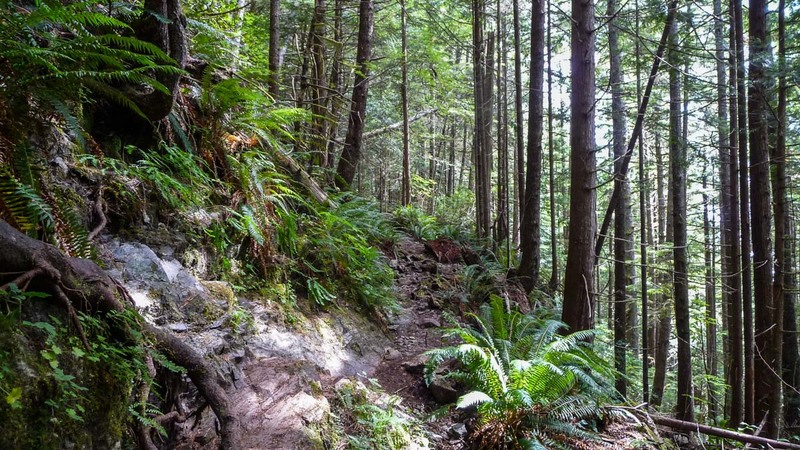 Really great blog, I’ve recently become an UL hiker inspired by my over weighted hike of the west coast trail 2011, wish I’d read this prior to that. I intend to do it again this summer around the same time of year you did, this time with the UL mind set. Happy trails. Thanks for visiting the blog. Doing the WCT with UL gear definitely makes it more fun and enjoyable. Good luck on the trail! I have been thinking about trying to do the WCT this coming August but looking at the online reservation system it looks like most of the sites are booked for those dates. Is it possible to go anyways? How strict are they on the amount of hikers at the sites? I really enjoyed your blog and journal, keep it up! Hey Logan. They didn’t check my permit except at the 2 ferry crossings. The permit fee include those 2 crossings. By “sites”, do you mean the 2 trailheads? 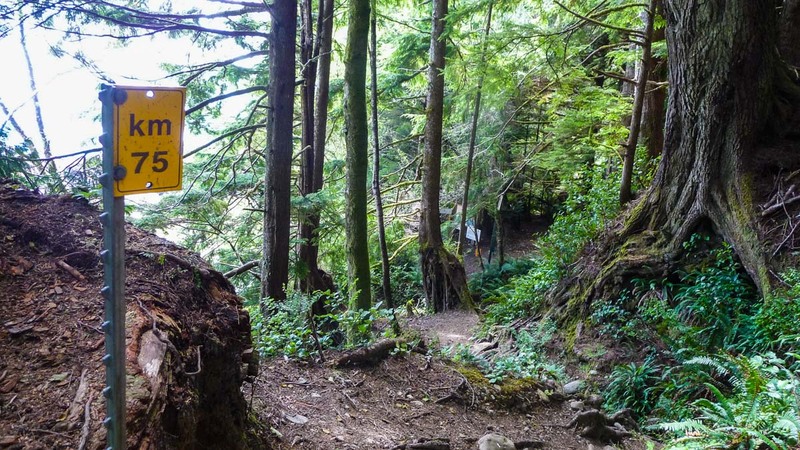 You only need to get reservation for 1 starting trailhead (Pachena Bay or Gordon River). We want to visit Canada this year and we would like to walk the trail only for one day (going about 6-8 km in one direction and than return). Which starting point do you recommend for this plan? The North or the South? We like the “action points” with stairs and so on. Looking at your photos, the south looks a bit more interesting for an one day trip. Hi Claudia. I would recommend starting from the North. I don’t remember the Southern side having too many ladders (or expansive views) until Thrasher Cove. On the other hand, if you go to Day 1 of my journal, you can see that there’s a spot with a lot of sea lyons. If you are willing to hike 10 km in, you can also visit Pachena Lighthouse. Thanks for the comment! I’m glad you found this useful. I enjoyed reading your blog very much. We (a group of 8 Canadians) did WCT in the just week July 2012. It rained 3 days out of 5, but we all enjoyed it very much. It was tough because of the rain though. I will now check out the Shi Shi Beach trail. Thanks for the comment, Satwinder. 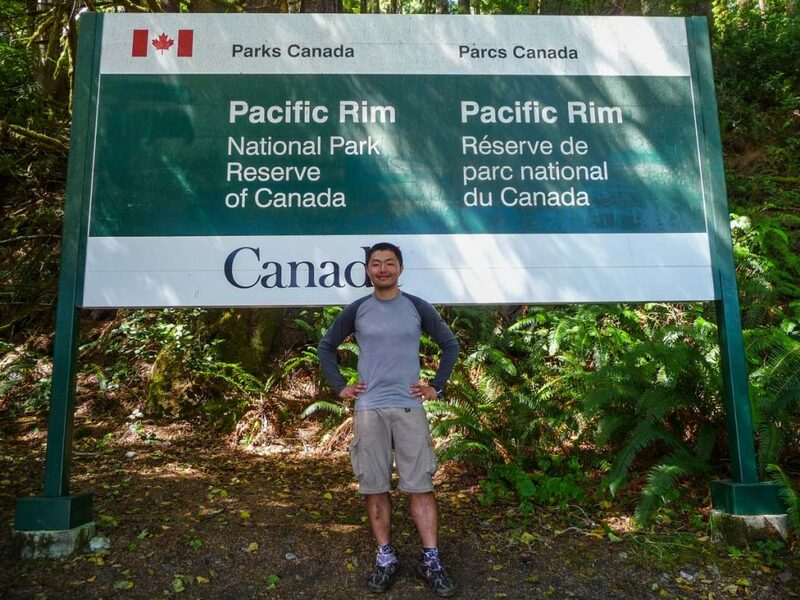 The Shi Shi Beach area is very similar to the West Coast Trail since it’s only a few kilometers south. Thanks for the detailed posts! My husband and I are planning on hiking the WCT at the end of this month (July 2015) and we are forming our hike after your itinerary. Love reading about all your other adventures, too! We’re also planning for the JMT next year. Cheers! Thanks for the comment Claudine! Looks like we share a taste for amazing hikes. WCT and JMT are both special and different in their own ways. Enjoy and have fun! Nice report and thank you! It’s still providing good information years later. I plan to do this trip in a couple of weeks and appreciate your straightforward and succinct descriptions. How did you do with your trail runners? I am thinking of taking my only comfortable footwear – light hikers (not hiking boots) with some low rise gaiters. Hi Patty. Thanks for the message. My trail runners worked very well for me, but I also didn’t get any rain at all, so my WCT experience was very different than others’. I still dislike hiking boots because of how heavy they are and because if it rains for long periods of time, they will get wet on the inside anyways. However, make sure that the light hikers you have have good traction on wet surfaces. Especially important for all the ladders. wonderful blog with great information. 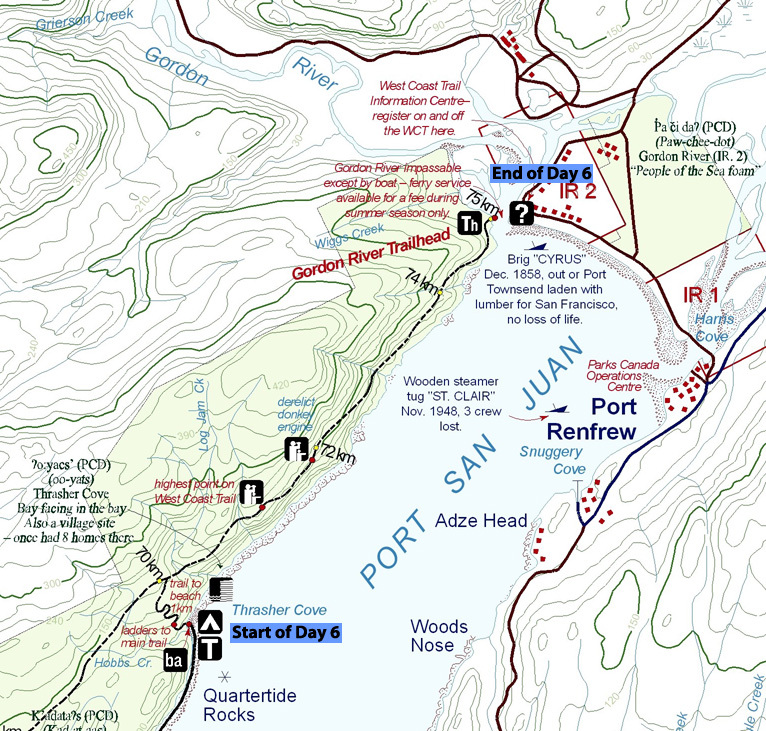 What I found very re-assuring is I “mapped ” out our 6 day hike and the spots I picked to camp at were identical to yours. We will allow time for changes though.We hit the trail on Thursday the 14th. Great blog and I plan on reading more when we return from the west coast. Thanks Kevin!! Thank you for you comment. I wish you good weather and a very enjoyable time on the WCT. Great set of posts. Enjoyed reading it as I’m planning to hike the trail for the first time in 2017. Thank you for reading, and I hope you enjoy your hike on the WCT next year! Hi the documentary on YouTube that you mention is no longer is available-do you know what it is called? Cheers! Great write-up! I’m heading out to the WCT in a few weeks. I’m just curious, what did your bag weigh? I weighed all my gear the other day and I’m estimating it’ll be around 30lbs total. I know it’s been seven years, but I hope you’re still reading the comments! Backpack without food or water was 12.3 lbs. With all the food and 1 liter of water, it was 25 lbs total.